Dr. Christian Len is originally from Regina, Saskatchewan, graduating from the University of Saskatchewan’s College of Dentistry in May 1999. During his last year of dental school, Dr. Len spent one month in the University of Florida’s Advanced General Dentistry program in St, Petersburg, Florida. He also spent one month in the Oral Surgery Department at the University of Texas Health Science Center in San Antonio, Texas. 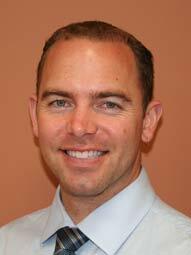 Dr. Len has been in private practice for since 1999. He started off in his home town of Regina as an associate dentist from May 1999 to June 2000. During this time, Dr. Len also held a part time faculty position at the University of Saskatchewan in the removable prosthetics department, where he taught dental students. In July of 2000, Dr. Len relocated to the Rocky Mountains, where he purchased his own dental practice in the town of Pincher Creek, Alberta. He developed this practice and worked there for a year and half. In January 2001, seeking a change, he sold the practice and relocated to Philadelphia, PA, where he spent 13 months as an associate dentist. Prior to his start in Philadelphia, Dr. Len travelled to the Canadian Artic, where he spent the better portion of a month in the community of Whale Cove, Nunavut, providing dental care to the Inuit people. Dr. Len opened his practice at Johnston Road Dental in White Rock in March 2004. Since then he has strived to offer the White Rock / South Surrey community quality, gentle dentistry with a caring touch. He is constantly refining his dental skills and knowledge by attending a multitude of continuing education courses and study clubs. In May 2005 he became a graduate of the world-renowned Misch International Implant Institute, and in August 2005 was presented with a Fellowship Award by the International Congress of Oral Implantologists. Dr. Len is also a member of both the Canadian Society of Oral Implantology and the American College of Oral Implantology. He has also attended multiple advanced cosmetic dentistry courses at the Las Vegas Institute for Advanced Dental Studies (LVI). The majority of continuing education courses that he attends are focused on both dental implantology and cosmetic dentistry. Dr. Len is very happy to be in White Rock. With his wide range of experience, he will continue to offer quality, personable dental care that the patients of this practice have come to expect. Feel free to stop in any time to meet Dr. Christian Len. He is always happy to see new and existing patients.